I'm back with another great Trendy Twine project! I decided after bringing you a bigger project in the beginning of the month I would create a simple card that can be put together in no time at all. This card features Chocolate Sprinkles Trendy Twine which is such a great color to have in your craft closet. I started with a Kraft cardstock base measuring 4" x 11" and folded it in half. The corners were rounded and the edges were inked with Tim Holtz Gathered Twigs Distress Ink. The patterned paper was cut at approximately 3.5" x 3", the corners were rounded and the edges inked with Faded Jeans Distress Ink. The doily is 4" which I cut in half. Chocolate Sprinkles twine was woven though the doily. The paper and doily were glued directly to the card base and the seam was covered with Stampin' Up Chocolate Chip polka dot ribbon. The bear was cut from the Create a Critter Cricut cartridge at 3" and inked with Faded Jeans Distress Ink. Kraft cardstock was layered underneath and google eyes were added. I applied stickles around the ears, nose, and tummy for a little added sparkle. He was attached to the card popped up on foam dots. The balloons are coordinating color buttons that I tied with the twine then glued to the bears hand. A double twine bow was then added. And to finish it off "smile" was stamped in the bottom right corner. If you are interested in purchasing the Chocolate Sprinkles Trendy Twine or any other color please visit the Trendy Twine Blog. While you're there join the September Challenge, there's still time! Thanks for hopping by. I will be back with another great Trendy Twine Project on Monday October 1st! Come back and check it out. It's a new month and a new featured Trendy Twine color! September is all about Chocolate Sprinkles. This blue and brown twine just screamed out little boy to me and I knew right a away a Magnetic Fishing Game was the perfect project. The pole was made from painting a pencil brown, screwing in four small eyes and stringing the twine through. I dipped the end of the pencil in glue and wrapped it several times. Finally, the end of the twine was glued between two magnets. The bucket was layered with coordinating paper that has been punched with a scalloped border and embellished with a little twine and stickles. Brown polka dot ribbon was used to wrap the handle. The fish were cut at 2 inches from the Create a Critter Cricut cartridge and the edges were inked in Tim Holtz Faded Jeans Distress Ink on the blue parts of the fish and Gathered Twigs on the brown parts. They were layered together and google eyes and Stickles were added. 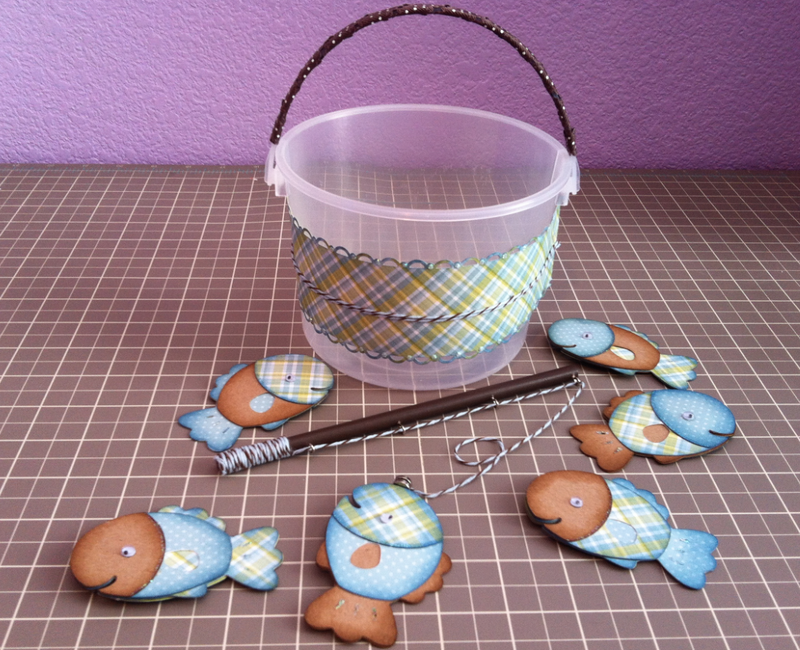 Each fish is doubled sided which was done using the flip feature on the Cricut. A paper clip was placed inside each fish so it could be "caught" on the pole! Well, there you have it. Another great project idea using the best twine around! I hope you try making this one yourself. 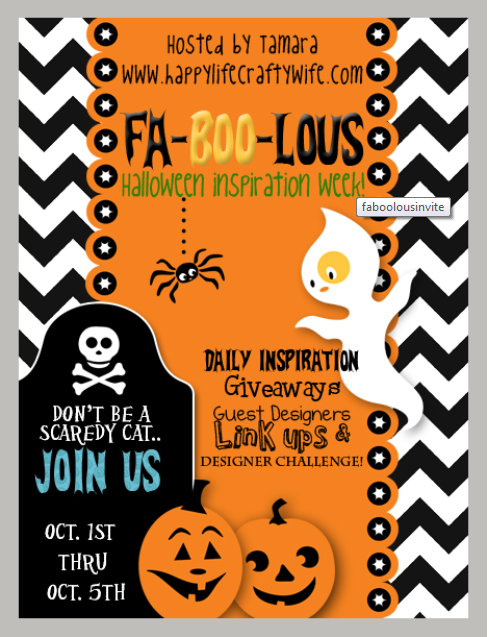 Don't forget to check out the Trendy Twine blog and join in on the September Challenge!